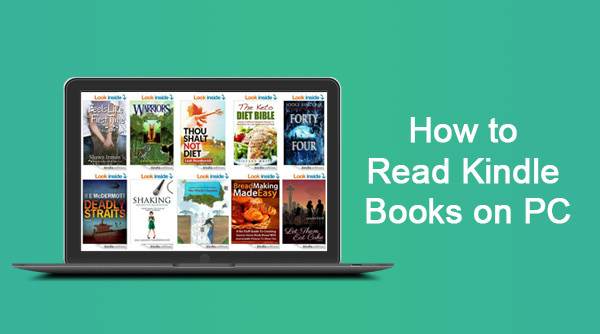 Kindle is an eBook service provided by Amazon and Kindle for PC app is a free eBook reader that can read Amazon Kindle books on Windows desktop. Like the Kindle terminal and Kindle app on a smartphone, with Kindle for PC, you can highlight, bookmark, select dictionary functions and etc. As a result, when it comes to reading Kindle books on PC, the most popular way that a Kindle user may adopt is to install the app. But there are also some users wondering whether there is a way to read Kindle books on PC without the Kindle for PC app. It’s known to us all that Kindle books are protected in DRM, for which they can’t be viewed without a Kindle or the Kindle app. To read Kindle books on a PC without the app, it’s a must to get rid of the DRM protection. In this article, we are going to introduce a simple yet efficient way to bypass the DRM of Kindle books so that you can download and backup Kindle books on your local computer to be read without limitations. 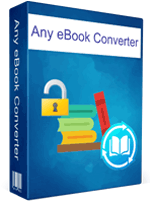 Any eBook Converter is a professional eBook tool that can remove DRM from Kindle, Adobe, Kobo & Nook eBooks and convert them to DRM-free EPUB, PDF, MOBI, AZW3, TXT or KFX format in batch. 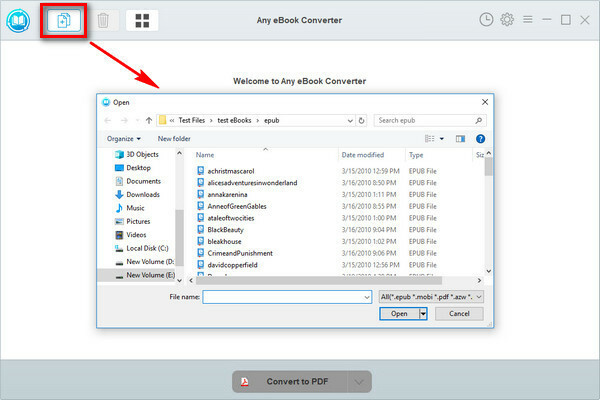 With Any eBook Converter, you can easily get rid of the DRM of your Kindle books and save them in a more widely supported format - PDF, for example, so that you can read them on your computer without the Kindle for PC app. Below is a full demonstration of the whole process. Before we get started, please have the program well installed on your computer. 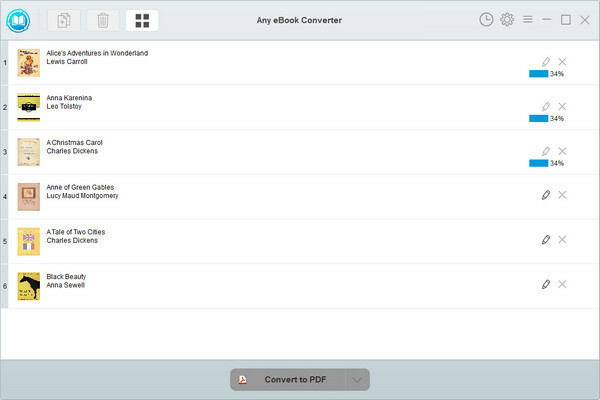 Launch Any eBook Converter. Click "Add eBook" button on the upper left and there will be a pop-up window prompting you to browse and upload the Kindle books that you want to read on PC. The DRM of your Kindle books will be removed immediately once they are successfully added to the program. Note: If you connect an eReader device to your computer, Any eBook Converter will automatically detect and scan it. All your ebooks will be listed on the left in a few seconds. Click “V” icon on the bottom and you'll then be able to select the output format. Here we chose “PDF” as an example. By clicking the “Settings” button on the upper right, you can customize the output path for the converted books. 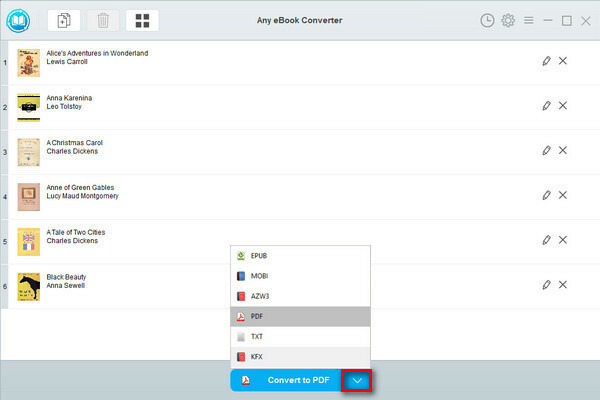 Click "Convert to PDF" button to start converting your Kindle books to DRM-free PDF format. When the conversion is done, you can find the converted DRM-free files by clicking the “History” button on the upper right or directly going to the output folder you set in previous step. Now you've got your Kindle Books in DRM-free PDF format, you can easily open and read them with Adobe or any other PDF Reader on your PC.